Not every DACA recipient harmed by the Trump administration’s decision to rescind the program went to Harvard, or has the smarts to be picked for the prestigious Rhodes Scholarship. Some are just everyday people—your neighbors and coworkers and so on—who happened to be brought here illegally as children. 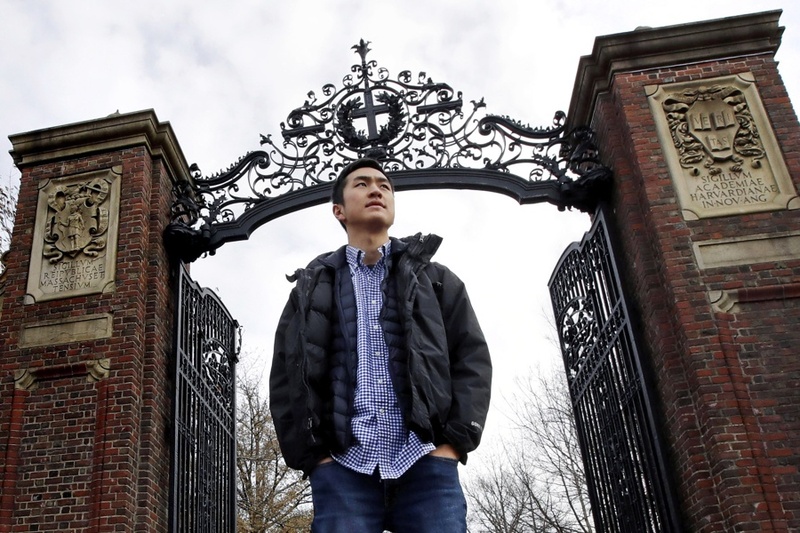 But the case of Jin Park, who did go to Harvard and appears to have a life full of potential ahead of him, is attracting a lot of attention today, highlighting a standout in the crowd of some 700,000 young people who are still in a sort of immigration limbo. Park was one of the 30 Americans named Rhodes Scholars in November (the first-ever DACA recipient to be chosen), an honor that gives winners a coveted pedigree and two free years of study at Oxford University in England. A New Yorker and alum of Harvard’s molecular and cell biology program, Park tells the AP he’s considering a career in medicine, or maybe government. But thanks to Trump’s attempts to wind down Deferred Action for Childhood Arrivals—the Obama-era program that shields eligible immigrants brought here as children from being deported—Park, brought here at age 7 from South Korea, fears he may not be able to return to the U.S. if he heads to England. Trump’s administration tried to end the program back in September of 2017, a move that could jeopardize recipients who travel abroad for education. “If I leave, there’s a very real possibility that I won’t be able to come back. That’s the biggest fear for sure,” Park says, per a new and widely shared story from the Associated Press. Harvard, as it so often is in the world of higher education, has become a battleground over the policy. When Trump’s anti-DACA push was first announced, professors, including some at Harvard, fought back in protests calling attention to the risk it posed to students. Former Harvard president Drew Faust at the time called the policy “cruel” and said it “recognizes neither justice nor mercy.” The message was clear: Do we really want to punish the best and brightest? And for what? For now, courts have blocked attempts from the White House to end DACA, but the Trump administration has appealed and the issue may end up in the Supreme Court. It’s also possible that that lawmakers could move to give legal status to so-called “Dreamers” like him—even Trump at points has said he’s sympathetic to the plight of DACA recipients, many of whom have been here for decades and have no memory of the country where they were born. Congress debated an immigration bill that included both protections for Dreamers and funding for a border wall this summer, but it withered. Meanwhile, hundreds of thousands of people like Park are standing by and, in cases like his, potentially putting their lives on hold.